This entry was posted on October 10, 2017 by Marketing. 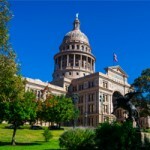 The motto “Keep Austin Weird” is an illustration of how the capital of Texas revels in its uniqueness relative to the rest of the state, but Austin joins other Texas cities when it comes to opportunities for real estate investors. Long known for its thriving music scene, the flagship campus of the University of Texas, and the “Silicon Hills”, home of many technology companies, Austin is a top destination for investment dollars. The job market in Austin is red hot and getting hotter. With a growing high-tech sector and a robust restaurant scene supplementing the evergreen education and government sectors, the jobless rate dropped to a seasonally adjusted 2.8% in July. The strong job market is drawing job seekers, propelling Austin to the second-highest population growth in the country, whether measuring the city itself or the broader metro area. The population growth further spurs growing construction and education sectors. According to a report by CBRE, Austin ranks as the eighth best city for tech workers, ranking high in educational attainment, job growth, and millennial population growth. The population growth is spurring a boom in housing construction. According to a report from Trulia, the Austin metro area combined with Houston and Dallas to permit new construction at a rate equalling a total of 130,000 new units in 2017, accounting for one out of ten new units in the entire country. Austin itself is on a pace to build more than double the historic number of new homes this year, at the top of the 100 largest metro areas. The existing home market also remains strong,withan increase in single family home sales in the Austin-Round Rock metro area of 2,892 homes, a 2.8% increase. People are flocking to Austin because it is an excellent place to live. In fact, US News and World Report ranked Austin as the best place in the country to live. Austin enjoys the benefit of Texas’s low tax burden, with no personal or corporate state income taxes , boosting the purchasing value of money earned. In addition, Austin is packed full of entertainment options for day and night. During the day, the presence of the University of Texas provides cultural and educational options, while the multiple lakes near downtown are perfect for outdoor activities. At night, Austin is known as the live music capital of the world, with live music venues up and down Sixth Street. In addition to Texas’s famous barbeque, a hot fine dining scene, and famous institutions such as the Alamo Drafthouse, there are always new entertainment opportunities. Austin also has many attractions for families. The Austin Independent school district features the Liberal Arts and Science Academy, ranked #27 in the country by US News and World Report. In addition, there are affordable activities for kids including free days at museums, hundreds of parks, and outdoor concerts and festivals. A thriving food truck scene provides an affordable way to feed the family without the kids having to sit still in a restaurant. Interested in learning more about investing in Austin real estate? Connect with our team at Patch of Land. This entry was posted in All Projects, Building Wealth and tagged Austin, Texas, housing market, real estate investing on October 10, 2017 by Marketing.